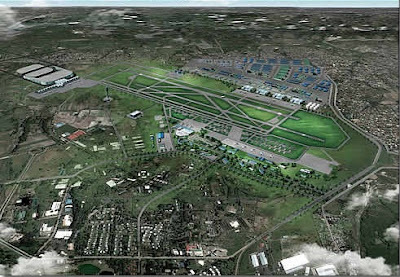 AN OFFICIAL of Delta Air Lines Inc. urged the Philippine government to rethink its plans to transfer the country’s premier international gateway from the Ninoy Aquino International Airport (Naia) in Parañaque, to the Clark International Airport in Pampanga. While he didn’t identify those other airports, his pronouncement was met with cheers from the representatives of various tourism sectors who had gathered for the unveiling of the National Tourism Development Plan, by the Department of Tourism at the SMX Convention Hall. His statement was in reaction to a travel blog’s tag in October on the Naia as the “worst airport in the world,” and to CNNGo’s ranking of the facility as fifth among the “world’s most hated airports” in November. The DOT forum, dubbed “Tomorrow’s Tourism: Harnessing the Growth Potentials of the Tourism Sector,” was held in conjunction with the 45th Annual Meeting of the Board of Governors of the Asian Development Bank held in Manila from May 2 to 5. Besides, he added, foreign tourists don’t use public transportation in Manila like they do in Hong Kong or Tokyo. Also the first vice chairman of the Board of Airline Representatives (BAR), Crowdey said if passengers had to transfer from Clark, on top of their long-haul flight, the country would likely not be recommended as a tourist destination. Close to 30 million passed through the Naia last year, according to data from the Airport Council International, exceeding the total capacity of its three terminals. Terminal 1 was built to accommodate only 4.5 million passengers a year, while Terminal 2 (Centennial) was built for 9 million, and Naia 3 for 13 million passengers, or a total of 26.5 million. Since the Ramos administration in the 1990s, the Philippine government has been eyeing Clark as a premier international gateway, due to the massive congestion at Naia. Summer, being a peak season for travel, has worsened the congestion with numerous flights delayed for hours, or worse, canceled, and causing hundreds of irate passengers. The relocation plans to Clark have again been announced by the Aquino administration. Yet it has put on hold the controversial NorthRail project that would have linked Manila to the Clark terminal. Meanwhile, Crowdey said there were no immediate plans for Delta to offer direct flights between Manila and the US. However, its Boeing 747’s currently serving the route via stopovers in Nagoya and Narita in Japan, are currently being refurbished. “We’re about halfway through with the process at the moment. It will be complete by October. Some of the aircraft flying the route, all of them will have lie-flat beds and all of them will have video on demand in the economy class,” he said. 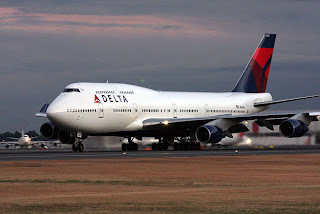 At present, Delta flies seven times a week from Manila to 10 gateways in the US via Narita, and five times a week to Detroit, the carrier’s hub for its flights to Asia, via Nagoya. Said hub and Manila routes were acquired when Delta merged with Northwest Airlines in October 2008. On the possibility of moving its operations to Naia Terminal 3 from Terminal 1, Crowdey said, like other international carriers, Delta is “willing [to move] subject to” certain conditions that need to be met by the Manila International Airport Authority (Miaa), the manager of the Naia airport terminals. “We have some security requirements. We have requirements in terms of space, offices and lounges. A cargo facility next to the terminal would be nice. And all these discussions are ongoing with current airport authorities. So we’re interested in moving, but only if ‘a, b, c, d, e, f, g, h’ [are] completed,” he stressed. The Arroyo administration expropriated the facility in December 2004, when it was already 99-percent complete, alleging anomalous changes in the build-own-transfer contract between its original owners PairCargo and Fraport AG, and the administration of former President Joseph Estrada. Foreign carriers bucked the transfer to Naia 3 then, citing uncertainties due to the legal issues arising from the government takeover. Only AirPhil Express - the budget carrier affiliate of Philippine Airlines - Cebu Pacific, and Japan carrier All Nippon Airways - are currently flying out of Naia 3. BAR is composed of representatives of some 30 foreign carriers operating in the Philippines. It has been very vocal in asking the government to address issues that are hampering the carriers’ profitability.